As I mentioned the other day, there have been several issues reported with Apple’s latest iOS 7 releases, particularly with battery life and iMessage. The most frequent complaint is that messages appear to be sent, but later appear with a big red exclamation point indicating they did not go through. The simplest and most often-suggested work-around by users is to restart the device. Another option to fix iOS 7 iMessage issues to to disable iMessage, reset the Network Settings, and then turn iMessage back on. (To reset the settings, go to Settings → General Reset → Reset Network Settings.) The later work around is more annoying, though, and seems to require frequent repetition. Since then, some users have complained about excessive battery use, typed letters that don’t appear on the screen, and Apple’s Siri voice-recognition service not recognizing requests. Apple released an iOS fix last week to tackle some security problems with iOS 7.0.2. Hot on the heels of Samsung’s announcement last week that they would release a special edition Galaxy Note 3 with curved OLED display, LG have countered with news that they will be taking this a step futher and releasing their own smartphone, the LG Z, with a flexible OLED display. According to ZDNet Korea, LG leaked them details of the new LG Z which is slated to arrive later this month. 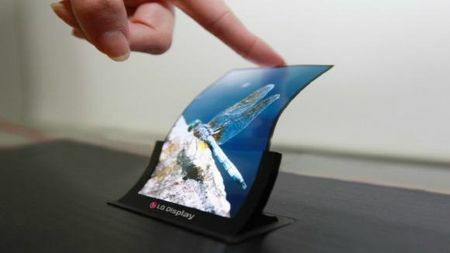 Whist it is understood that the LG Z itself will not be a flexible device, merely a smartphone with flexible display there are advantages to that arrangement in that the screen is transformed from being a typical brittle, fragile unit to something with a little more strength and ‘give’.